If you read this, comment: "candycorn!" in honor of halloween, haha. 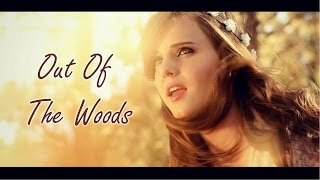 ... Taylor Swift (cover) By Tiffany Alvord On Itunes & Spotify ♥ Mp3 size: ... I AM SO EXCITED FOR THIS ALBUM This is my cover of Taylor Swift's Out Of The Woods.